Will must be signed at the end and initialed on every page in front of the witnesses. The witnesses must also sign an attestation clause. A Probate judge in the Surrogate’s Court may invalidate a will based on several types of objections. If there is proof of undue influence, lack of testamentary capacity, duress, or undue influence, the Will will be invalid. “Lack of testamentary capacity” means that the Will signer does not understand that what he’s signing is a Will, that he does not understand the nature and value of his property, does not understand who the natural objects of his bounty are (meaning that normally one’s spouse and children are the natural recipients of his or her property after death), or that he does not understand the nature of the disposition he is making (i.e., to whom he is giving his property in his Will). 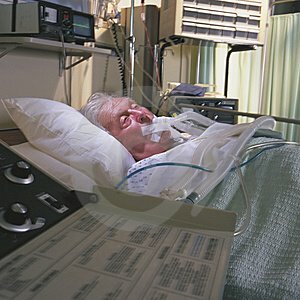 As he lay dying in the hospital of liver disease, the man’s x-wife and her lawyer got the him to sign a Will that gave her all of his assets. He died of the disease just three days later. In Matter of Stachiew, 96211/2007/D, a Dutchess County Surrogate’s Court judge denied probate in this case, holding that the proponent of the Will, the x-wife, had failed to prove that the decedent was sufficiently aware of the nature and extent of his property, what he was signing, and how he was changing his testamentary distribution plan through the Will. The judge found that the attorney had induced the decedent to sign the Will without regard for his ability to understand what was going on, and was not convinced by the attorney’s “self-serving” testimony to the contrary. Cases like this illustrate how important it is that individuals hire a competent and ethical attorney who will take all reasonable measures to ensure that every requirement of New York’s Estates, Powers, and Trusts law is complied with. 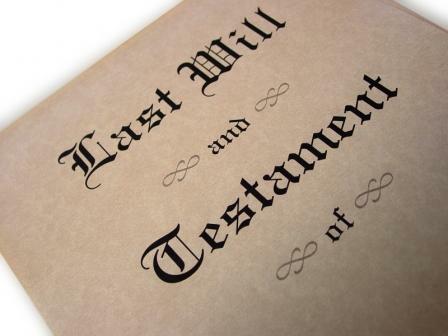 challenging the probate of a Will or Administration where there was some irregularity. Please call our office at 800-344-6431 or e-mail us for assistance. Mr. Schlissel’s is a leading Elder Law and Wills Trusts and Estates attorney in the 5 Boroughs of New York, Nassau and Suffolk Counties so we are pleased to provide this information to Elliot Schlissel New York Law Blog readers. As always, you can receive legal updates from this site by subscribing by e-mail.